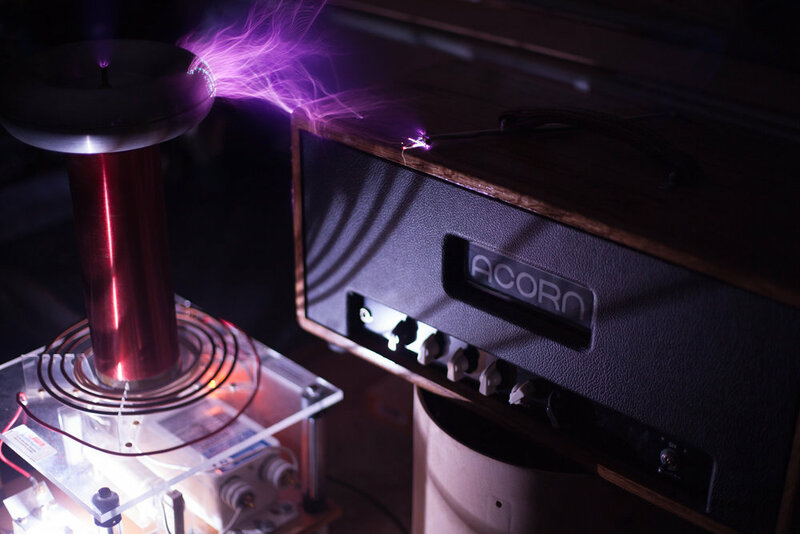 Located and growing from Atlanta, GA, Acorn Amplifiers creates entirely hand-built all-tube guitar and bass amps with the goal of achieving supreme guitar tone with maximum versatility using simple, yet carefully crafted circuits. Each amp is made with hand-picked, individually measured components of the highest quality and assembled by pro amp techs who are not only musicians, but also fervent tube amp aficionados. No corners cut, no PCB construction, and no compromise on any part of the amp build; meaning this gear is built to last a lifetime and tuned to deliver unparalleled guitar tone, YOUR tone, year after year. Visit our shop for audio and video clips as well as pricing information. In addition to amplifiers, We also build a variety of guitar effects pedals, including overdrives, Time-Based effects, fuzz pedals, and more. Check out our shop for clips of pedals in current production. Acorn Amplifiers is also a full service repair and restoration shop. We specialize in vintage guitar and bass amplifiers as well as solid state guitar amps and speaker cabinets. Our cabinets and head boxes are hand crafted using void-free Baltic birch for our tolex-wrapped boxes and beautiful, exotic wood species for our raw wood boxes.